High above Boulder, Colorado along the slopes of Flagstaff Mountain, a lone pine endures on a rocky face. Winds, snow, and heat all make this rocky home a difficult place to not only survive but thrive as this pine does. 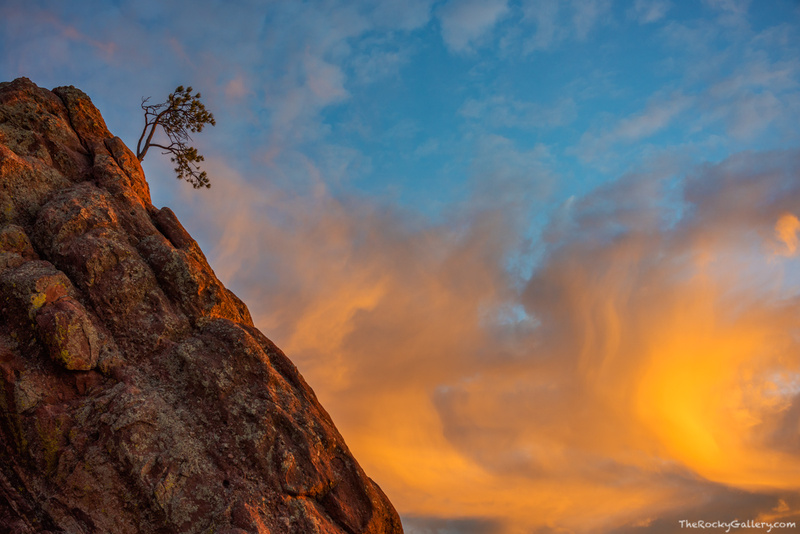 While it may be a precarious location to take up residence, this lone pine has one of the best views in Boulder and gets to take in spectacular sunrises like this one in particular. Photo © copyright by Thomas Mangan.